\Programmes\Young Leaders\The 4th Young Leaders Security Seminar successfully finished! The 4th Young Leaders Security Seminar successfully finished! ISAC Fund organized the fourth Young Leaders Security Seminar in Vrsac from 26th to 28th September 2018. This seminar represents a continuation of ISAC’s program in working with students and young professionals in the field of education and public policy. We strongly believe that it is extremely important to discuss and raise awareness about the contemporary security challenges that Serbia and we as a society face. The aim of this seminar is to provide young future leaders with factual information and verified facts so they can make their own conclusions, positive or negative, on any of the given challenges. 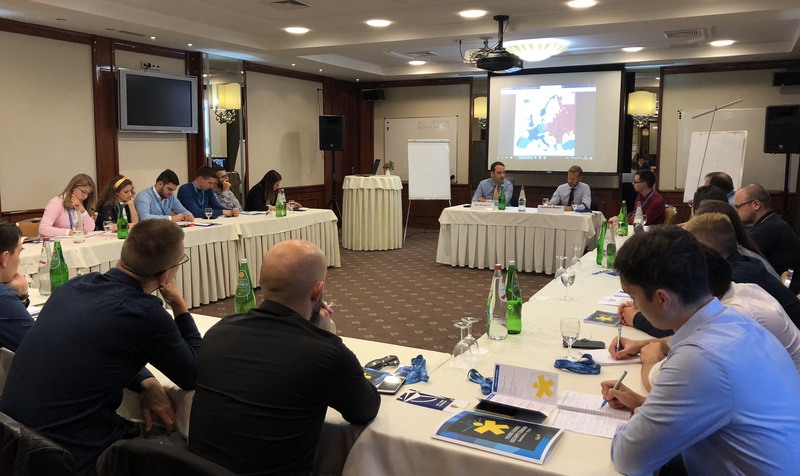 The seminar consisted of numerous interactive lectures, panels and discussions where participants had the opportunity to talk with eminent security experts from various institutions such as the Ministry of Defence, Ministry of Foreign Affairs, the Negotiating Team for Serbia’s Accession to the European Union, Embassy of Sweden, Embassy of the US, and the NATO Liaison Office. The main topics discussed included: NATO – Serbia relations; Why Serbia needs to cooperate with international security organizations; Participating in international military missions; Security Sector Reform –15 years later; Serbia, Neutrality and Non-Alignment in Europe; Fake news and the post-Truth Era; Cyber Security; The European Union and CFSP – Security risks and challenges in light of Brexit; etc. Beside interactive panels and lectures, there were also workshops on further development of skills to better prepare the participants for finding work in their respective fields. More information on lectures can be found at European Western Balkans website.